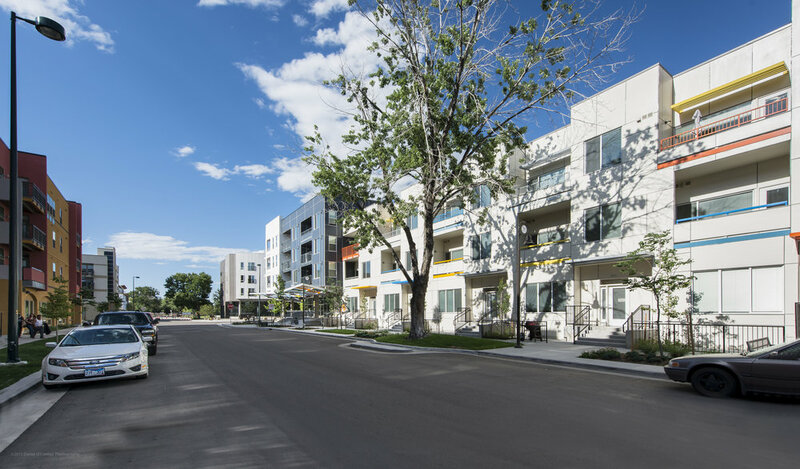 Phase IV is part of eight phases of a master-planned development by Denver Housing Authority. Phase IV has a diversity of residential units: 50 one-bedroom, 27 two-bedroom, 14 two-story “town-home-type” units, and 63 “flats”, totaling approx. 88,500 sf. Of space. Parking for residents is provided in a basement garage of approx. 23,000 sf. Approx. 12,400 sf. of storefront commercial spaces is provided at street level, with a second level concrete podium for maximum flexibility. These commercial spaces include approx. 7,500 sf for a day-care center to be operated by Catholic Charities. An interior courtyard is filled with light and includes community gardens, greenhouse, and playground, and is integrated into a pedestrian master plan. 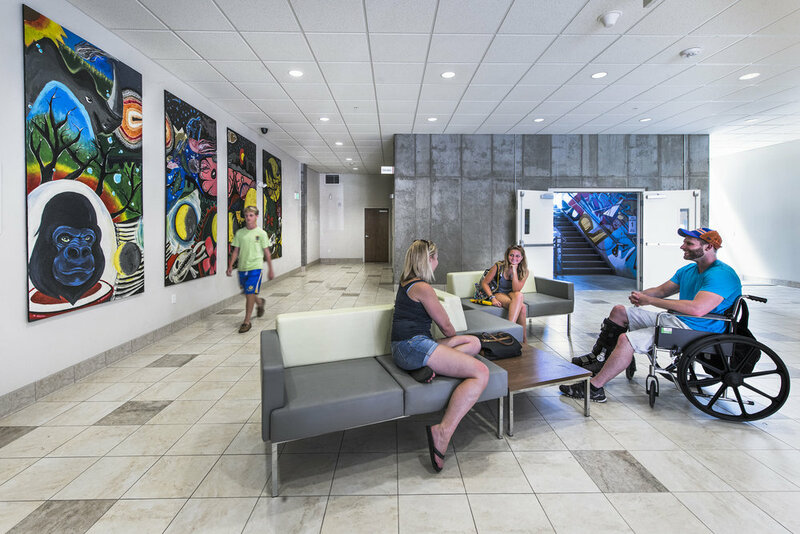 Extensive resident involvement and participation through many community meetings worked to engage the community and integrate all phases into the master plan. Great effort was made to promote healthy, active lifestyles with access to community gardens and kitchens, encourage walking and physical activities, and provide generous access to outdoor spaces and nature.